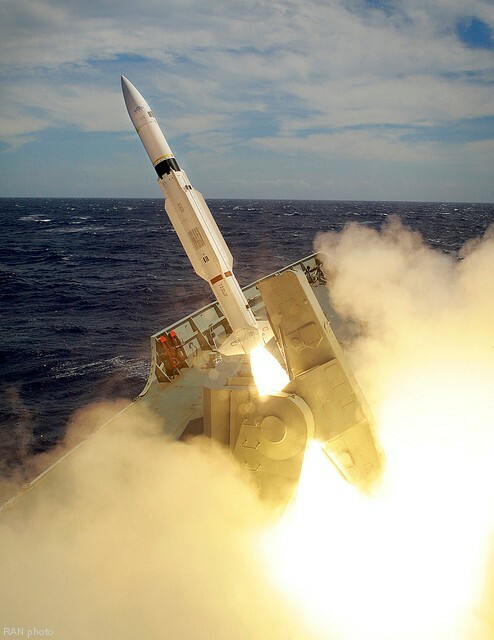 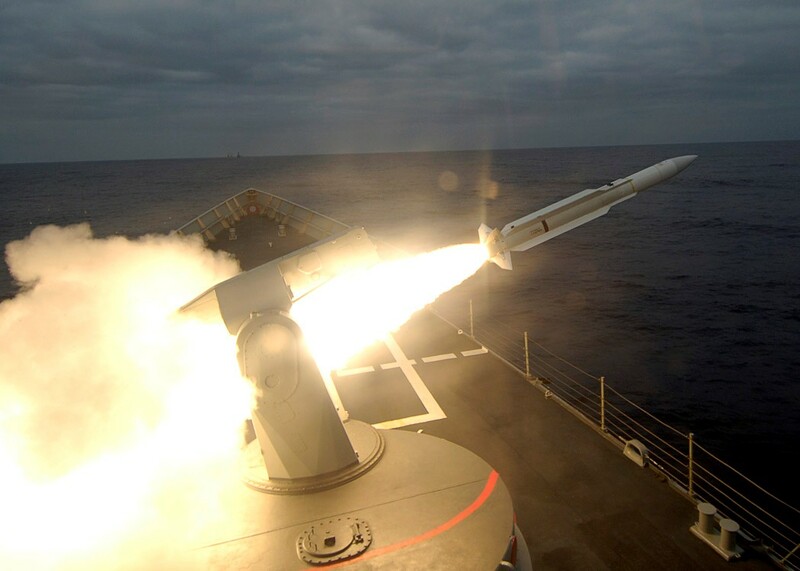 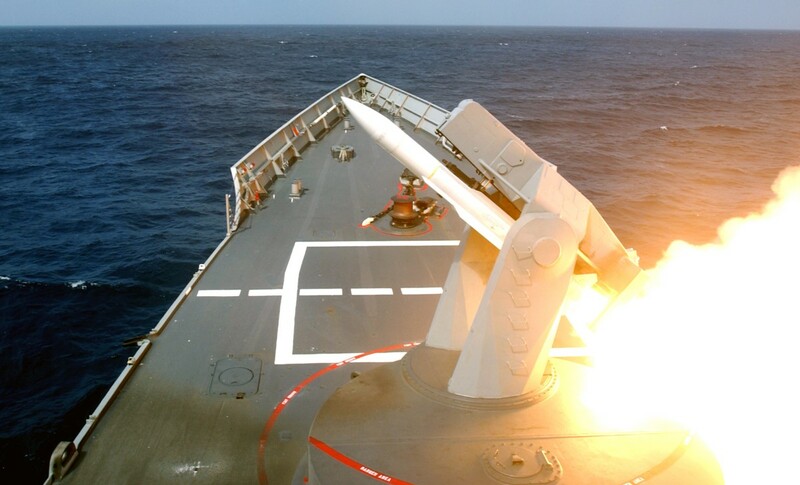 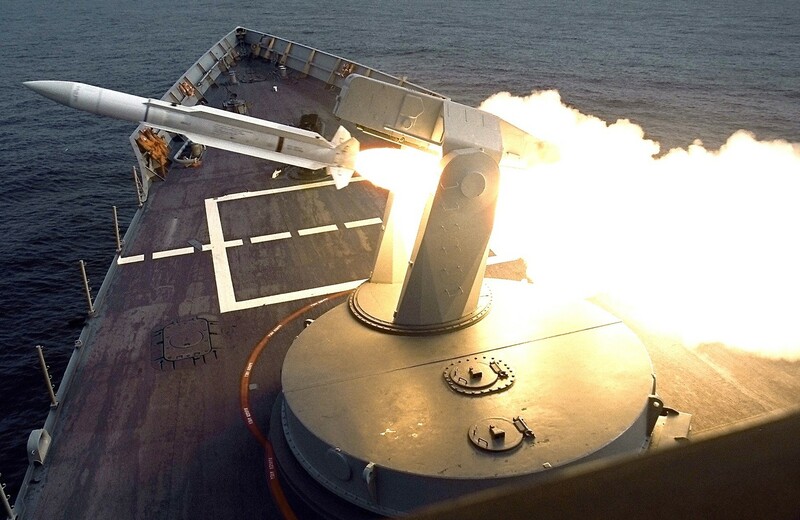 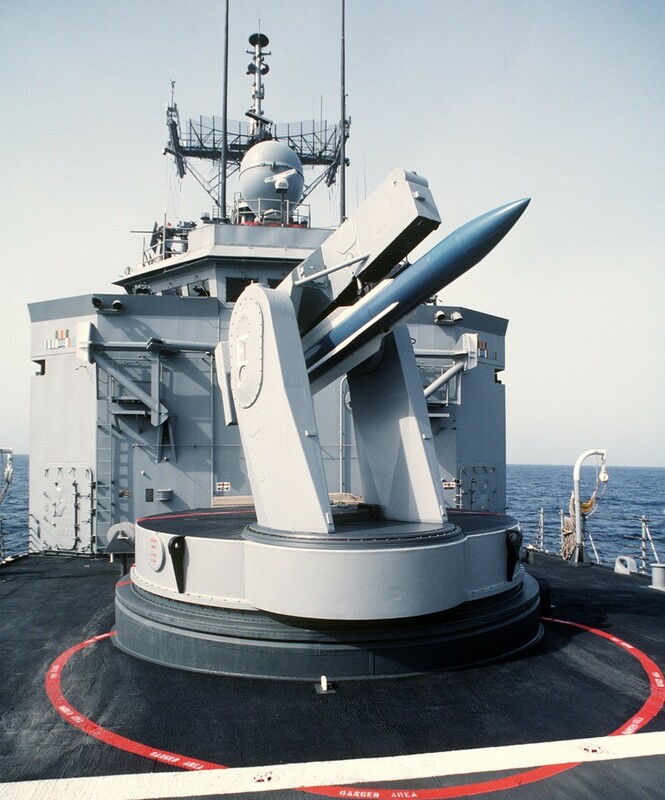 The Mk-13 guided missile launching system (GMLS) is a single-arm missile launcher designed for use on frigates and other military vessels. 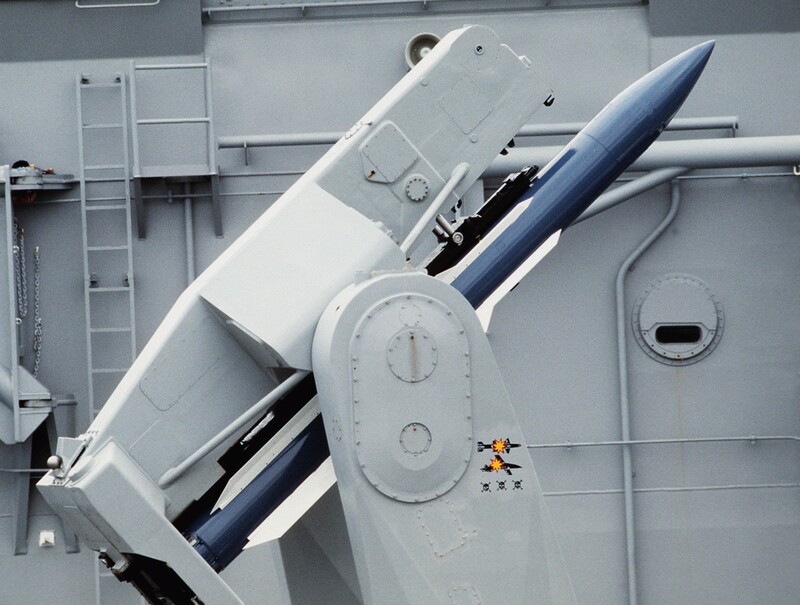 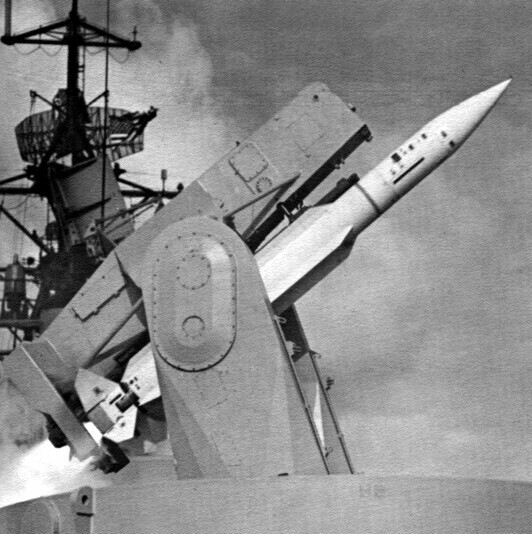 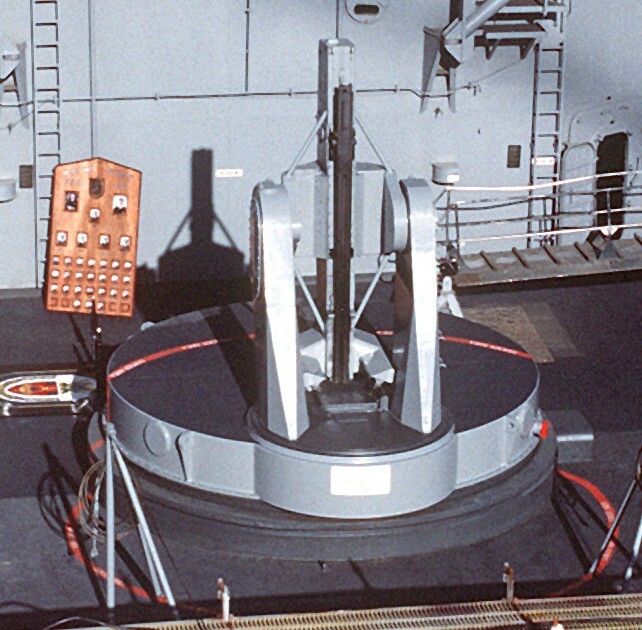 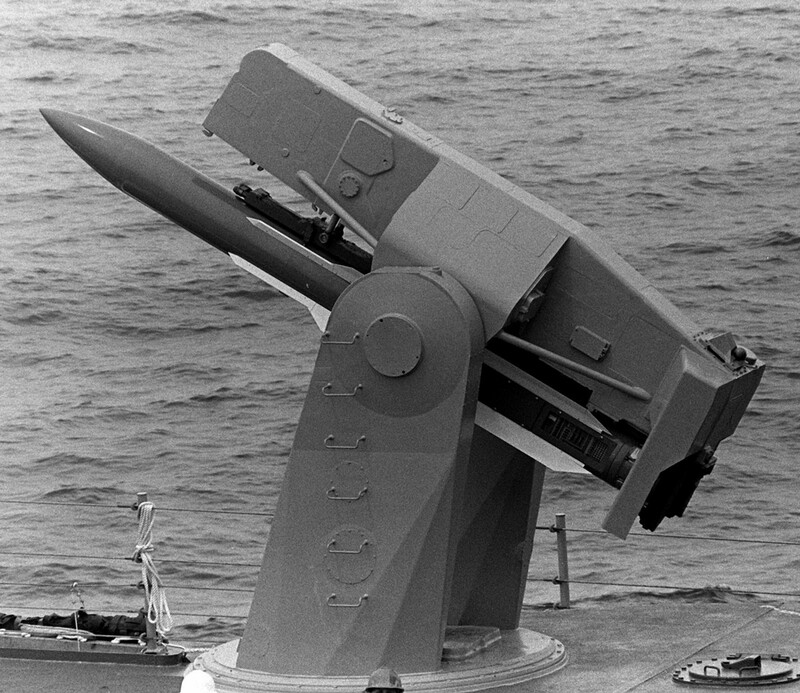 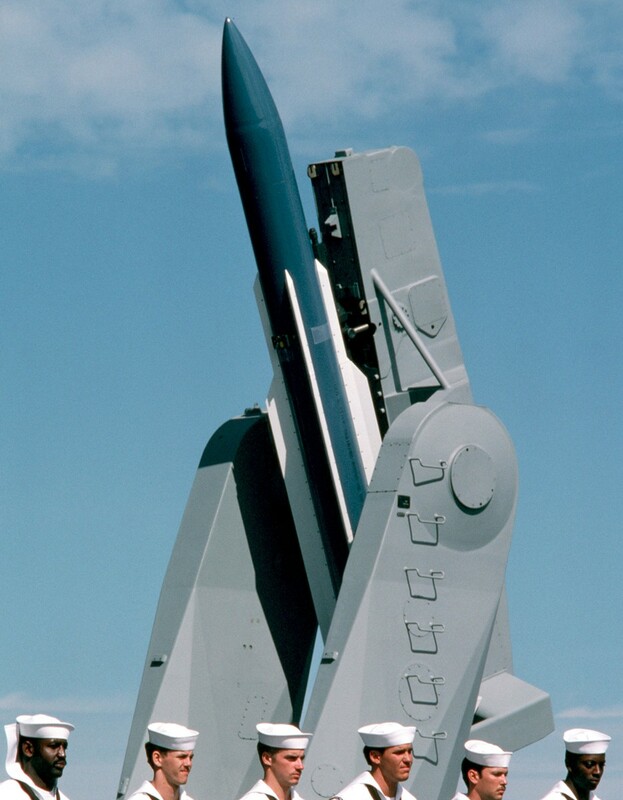 The Mark 13 is equipped to fire the RIM-66 Standard, RGM-84 Harpoon, and RIM-24 Tartar missiles for anti-air and anti-ship defense, and is capable of firing the Standard at a rate of one every eight seconds. 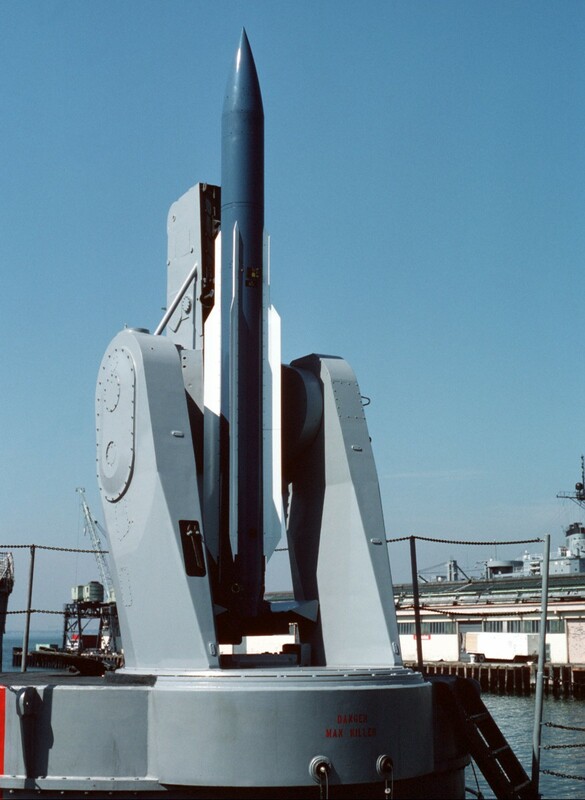 Its 40-round magazine consists of two concentric rings of vertically-stored missiles, 24 in the outer ring and 16 in the inner. 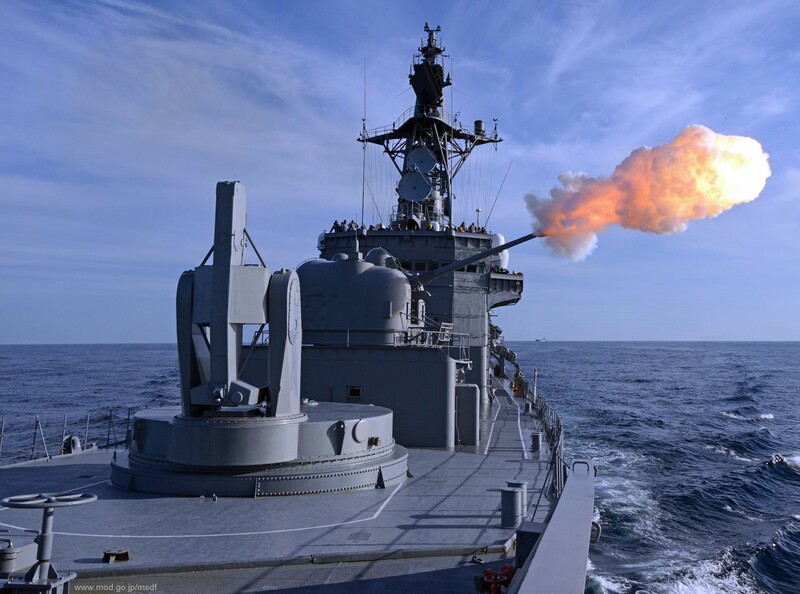 In case of a fire, the system is equipped with magazine sprinkling, CO2 suppression and booster suppression. 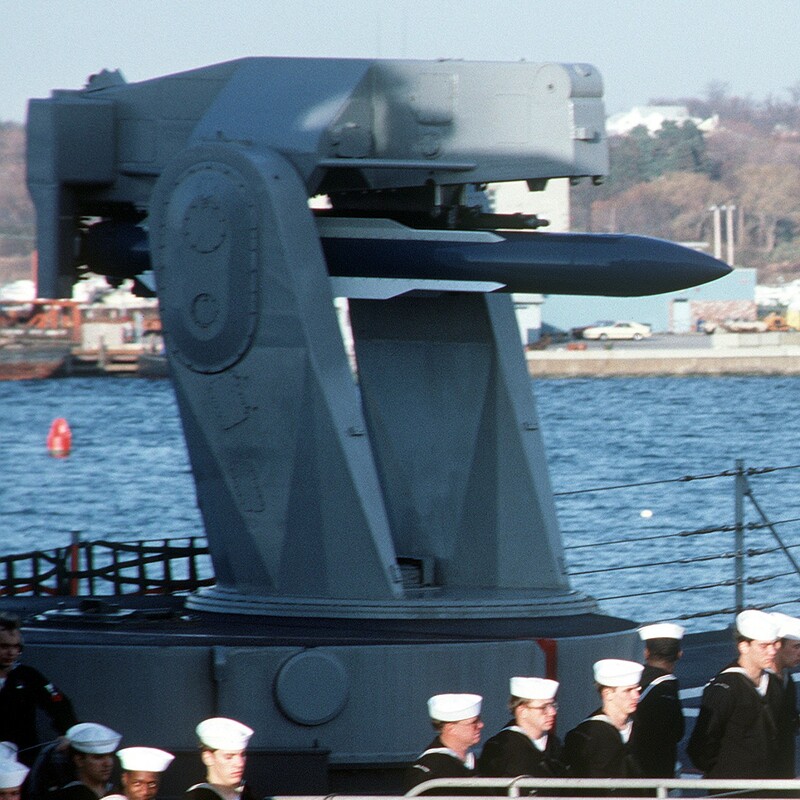 The Mk-13 launcher is most typically employed as part of the Mk-74 Guided Missile Launch System, or the Mk-92 Fire Control System. 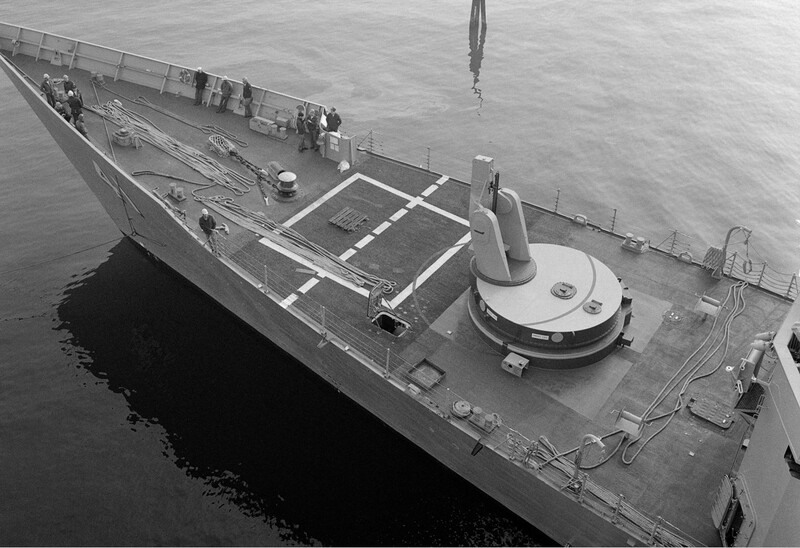 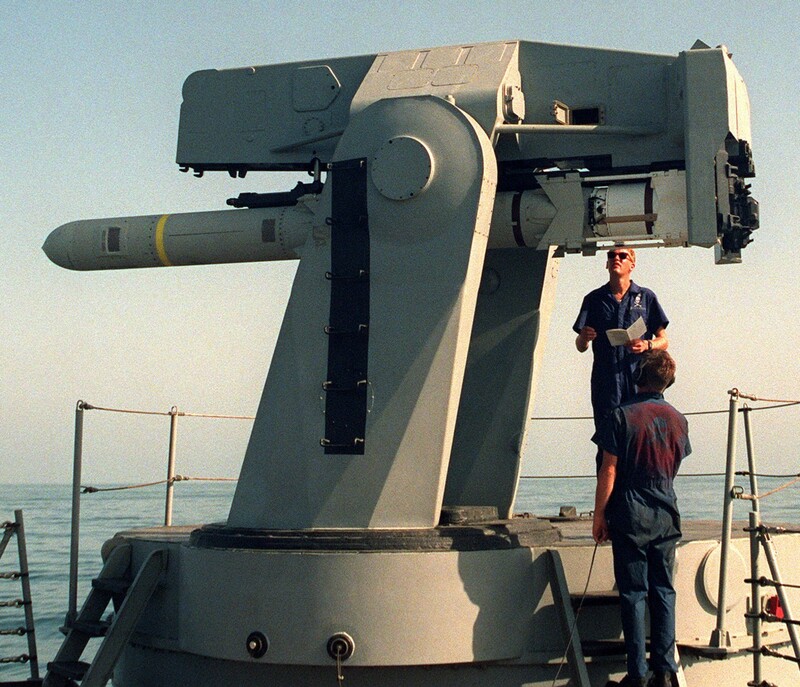 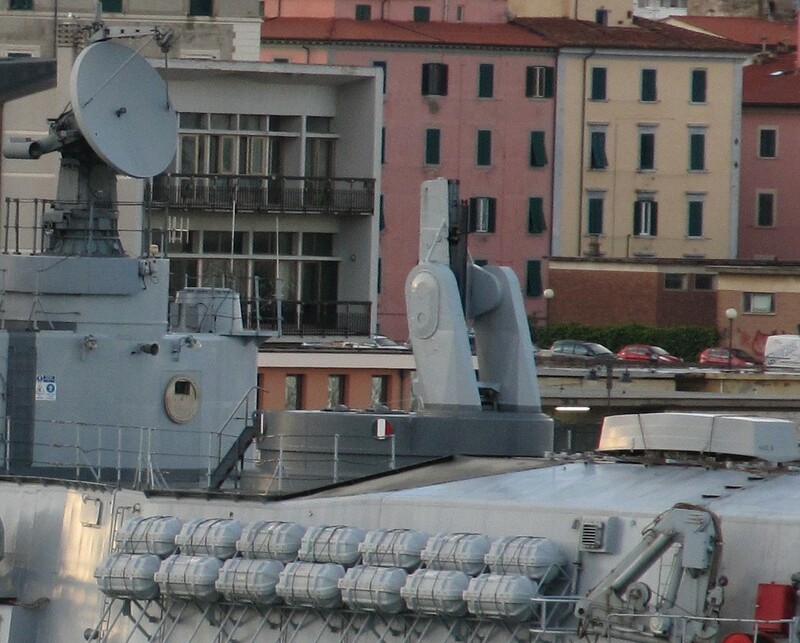 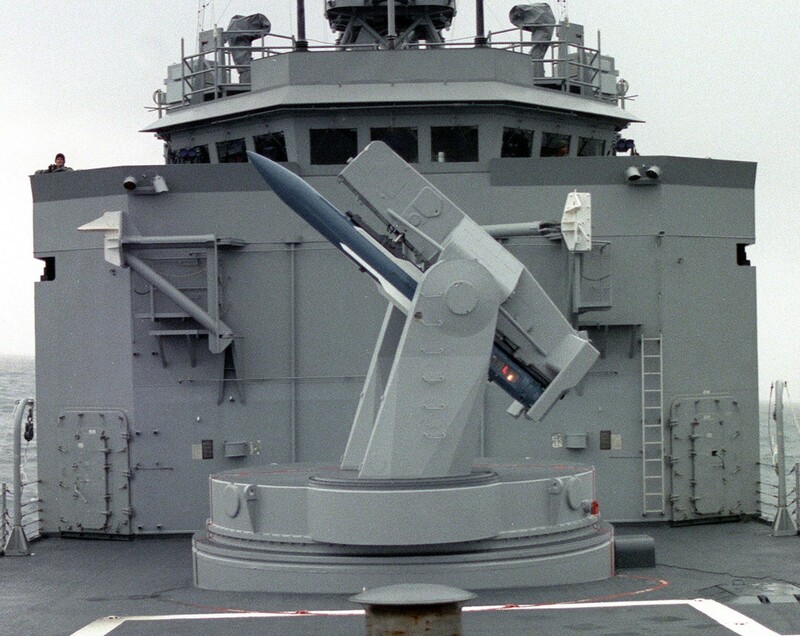 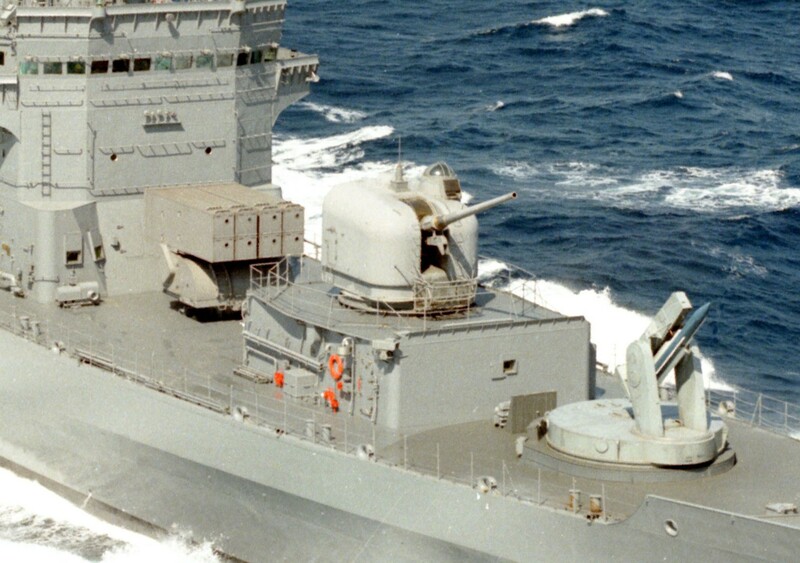 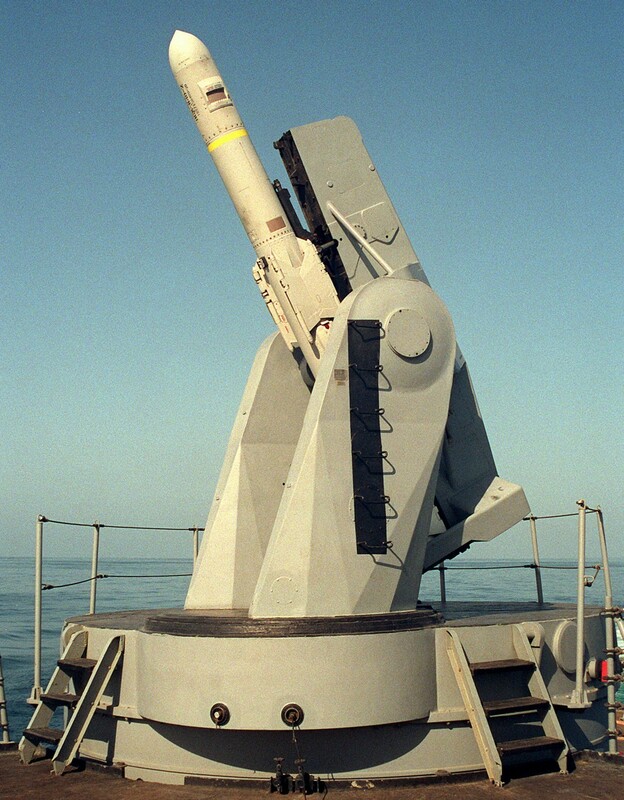 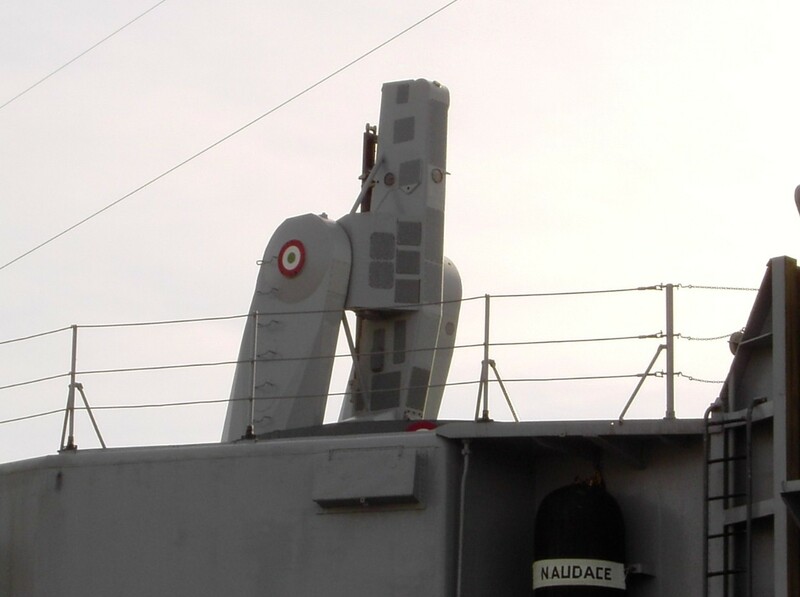 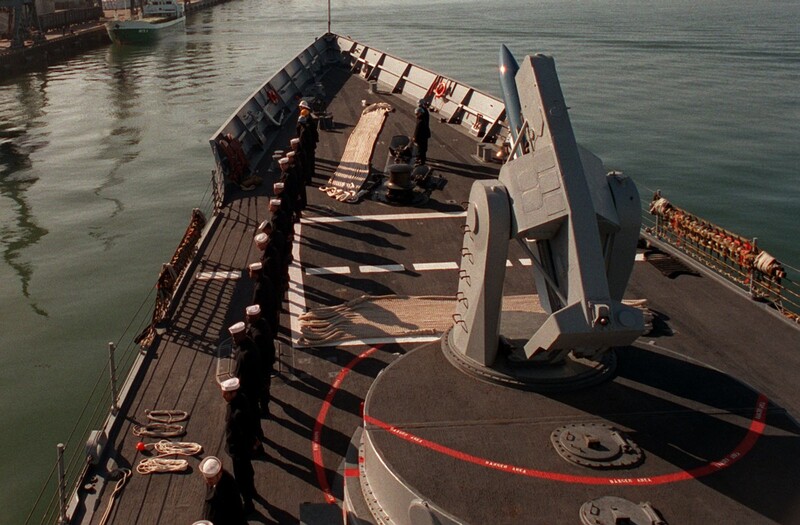 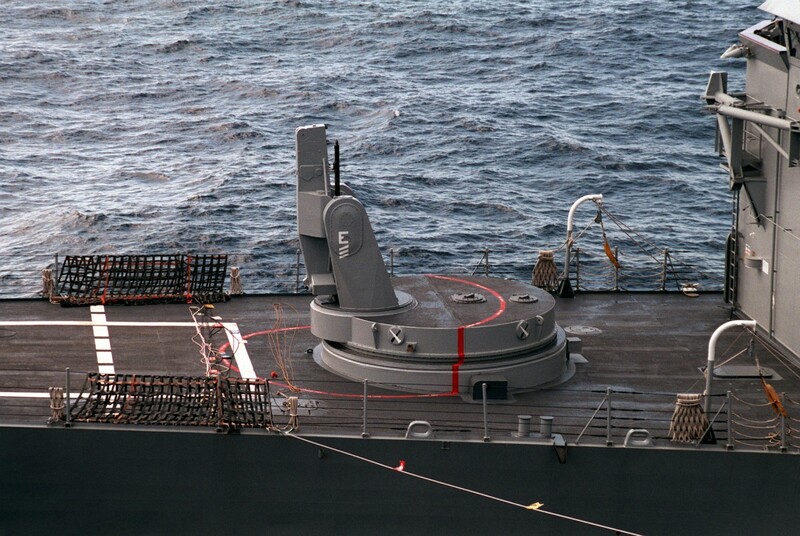 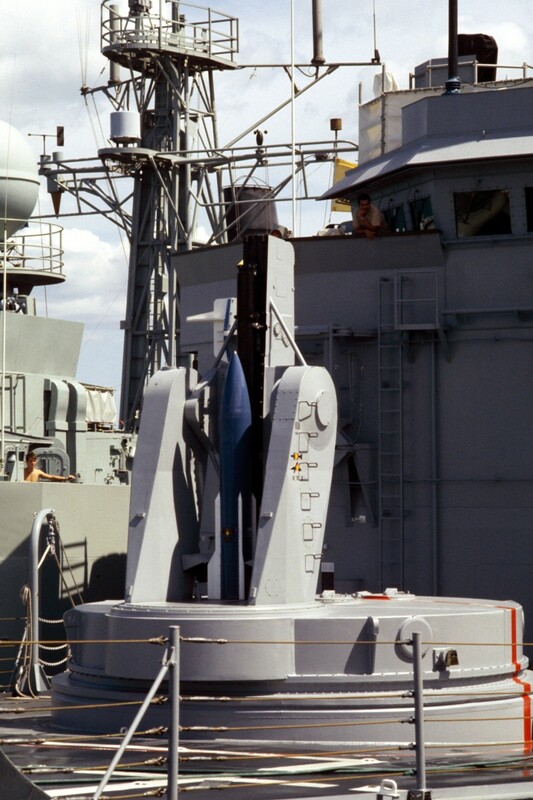 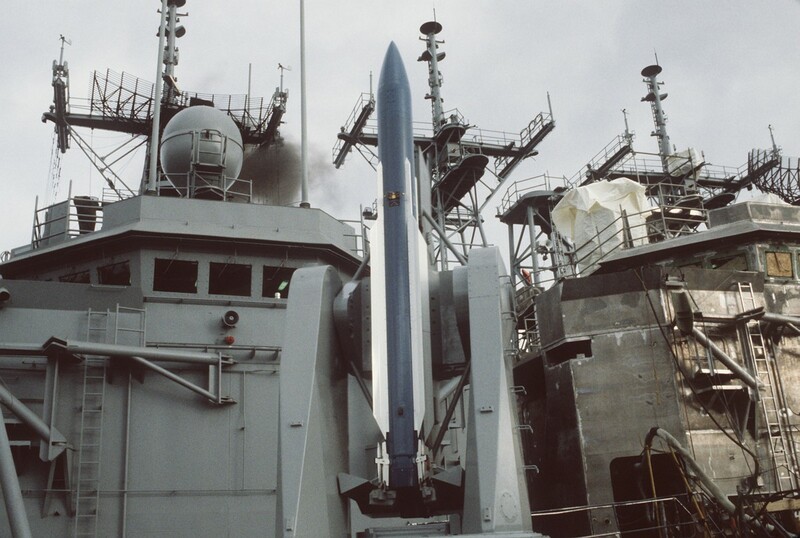 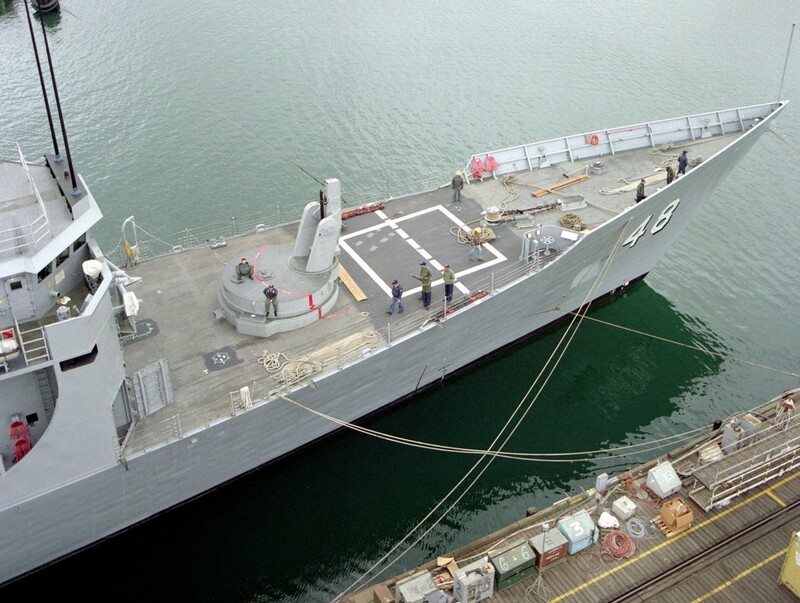 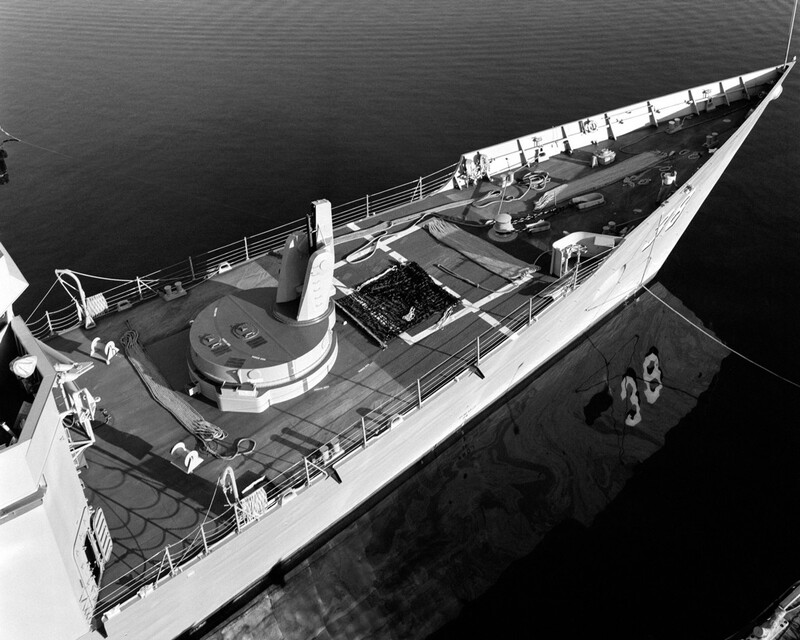 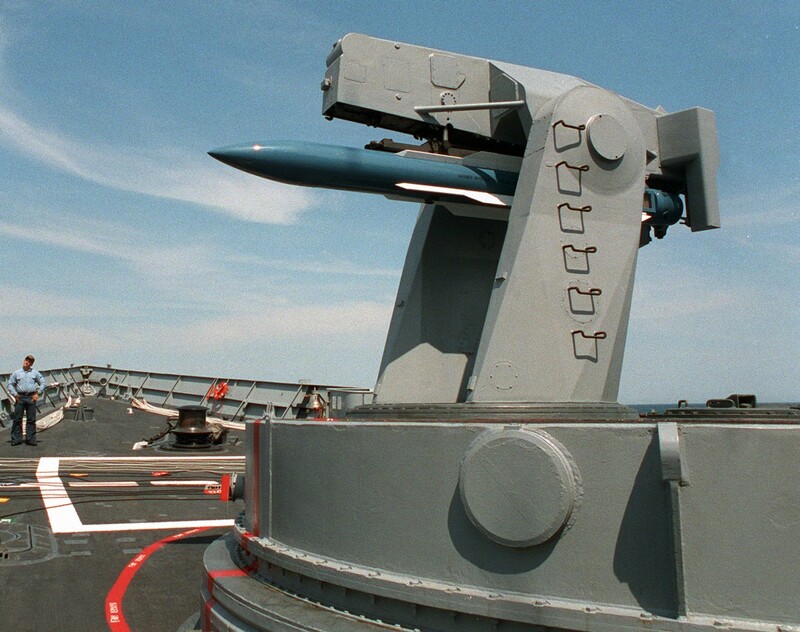 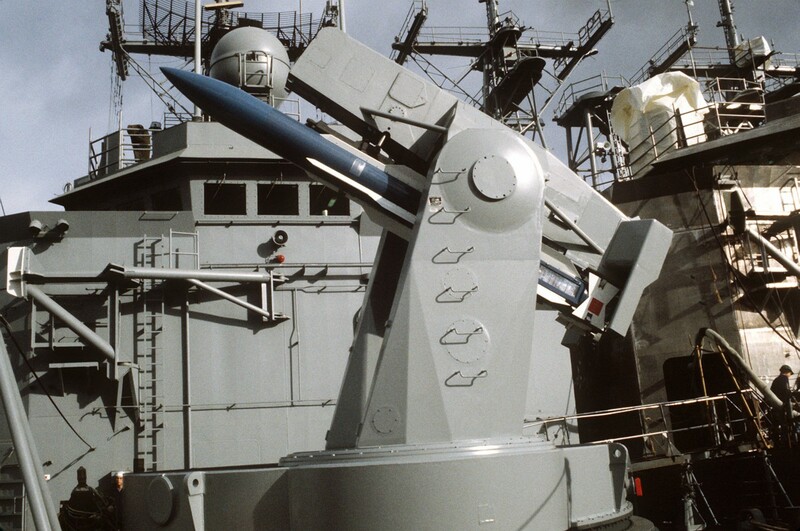 Though the launcher was original armament on US Perry-class frigates (and their derivatives), in order to save costs on an obsolete system, by 2004 all active US vessels have had the system removed. 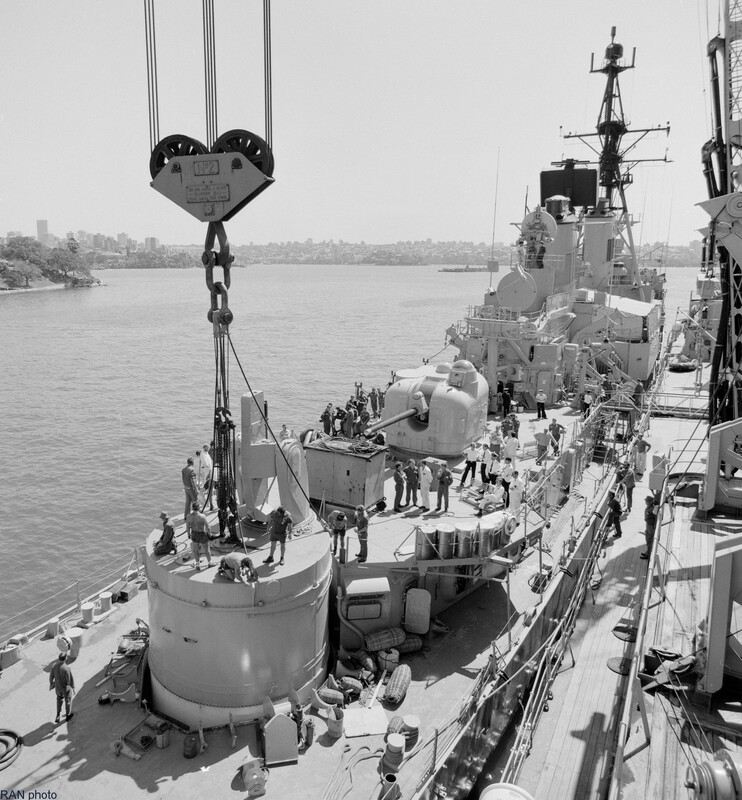 It was also fitted on French Navy Cassard-class frigates, as well as the last ten US Navy Charles F. Adams class destroyers, the USN California class cruisers, the German Lütjens class destroyers and Australian Perth class destroyers and Adelaide class frigates. 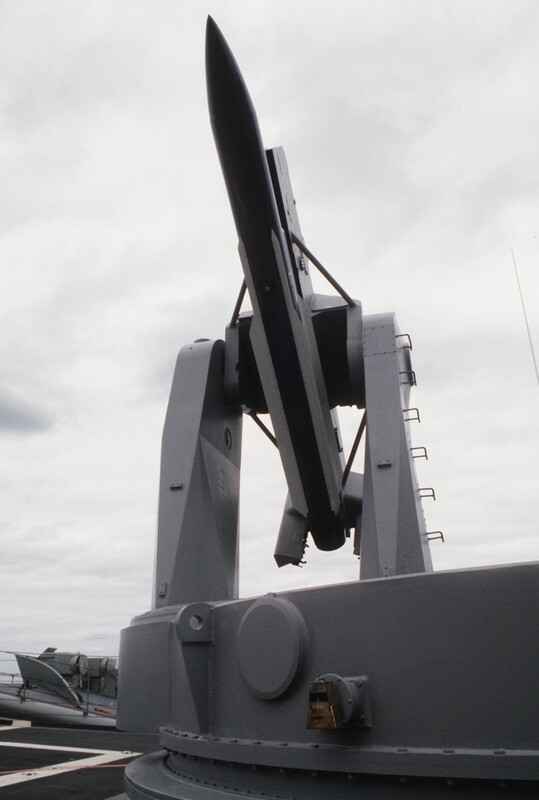 Because of its distinctive single-armed design, the Mk 13 is often referred to as the "one-armed bandit."